It doesn’t have to be old-fashioned. 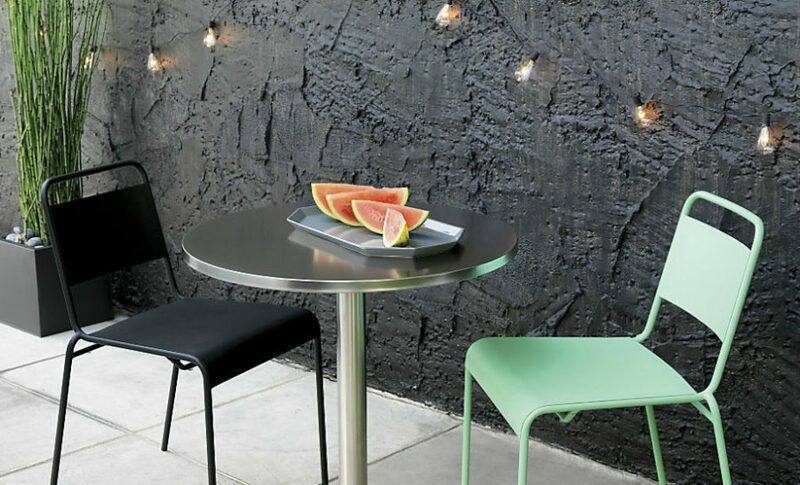 John Lewis Ala Mesh bistro set proves that metallic pieces can look as modern as any other furniture. 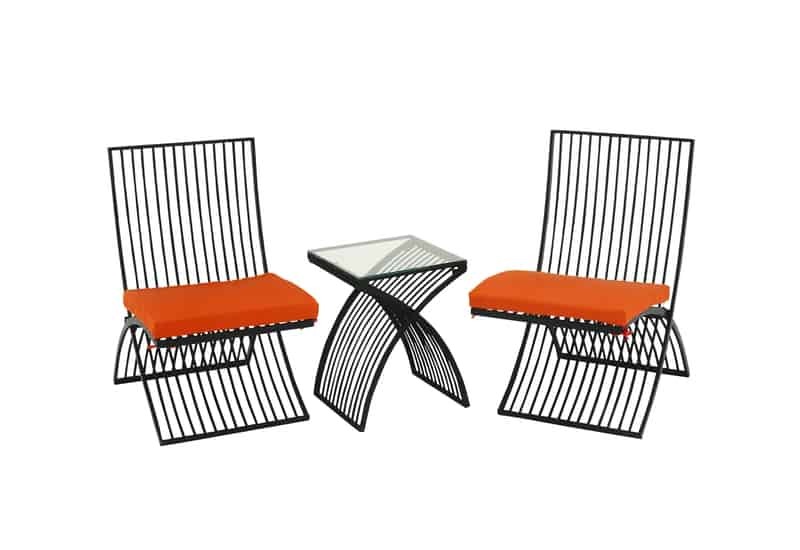 Christopher Knight brings a bit of industrial chic into balcony furniture with his powder-coated iron Home Lourdes outdoor bistro set that we totally see in a contemporary balcony space. Laser-cut floral patterns soften the brutal industrial look a bit, but they certainly don’t take away from it in the slightest. 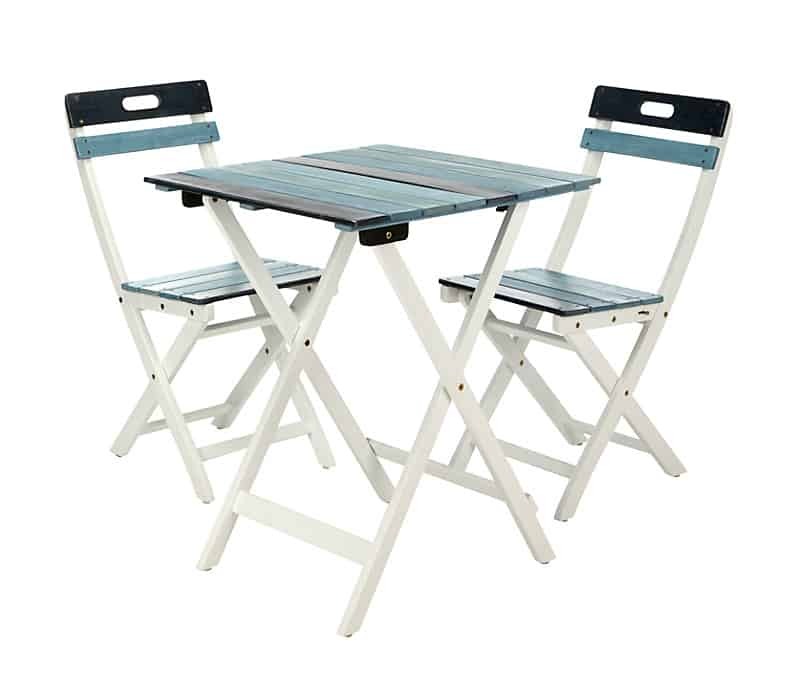 Another example of how modern and lively steel furniture can look is this 3-piece bistro set that is fit for both garden and a small balcony in the middle of a city. Coated in sky blue, yellow green, and bright red, its classic modernized shape makes for a truly timeless look. 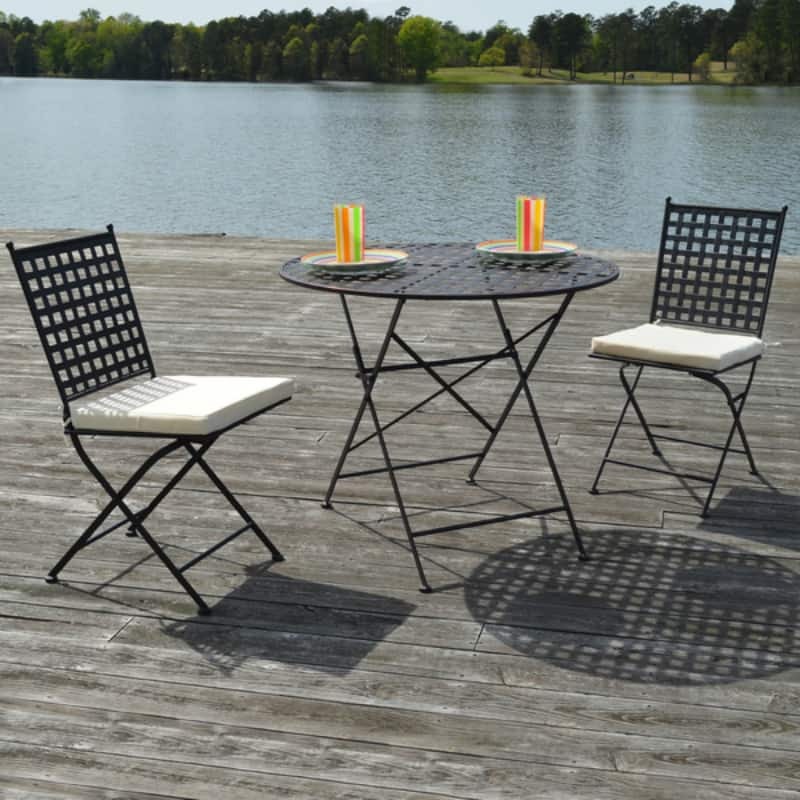 Continuing the topic of metal outdoor furniture is Marseille bistro set with a dynamic woven French-inspired design that looks positively modern but with a hint of nostalgia. Place it on a deck or keep it on a balcony; it looks versatile enough. Cream-colored cushions definitely bring a much welcomed contrast to the black steel frames. Speaking of cushions, these little accents can bring a different dynamic to the set every time you change the color of the slip. From sophisticated cream to fall-themed orange, you can make balcony furniture appropriate for any season. It’s one of the advantages of metal furniture. You can remove the fabric elements at any moment to change, wash, or store for the season. Aside from being practical metal furniture can be mighty decorative. Just take a look at this Marrakech two-seater patio set that you can totally use on a balcony. 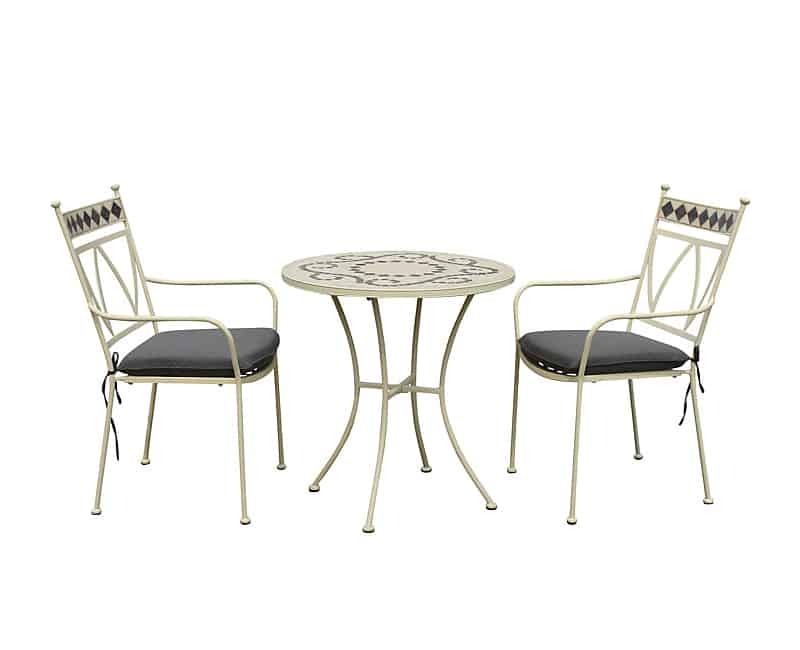 Painted to a cream finish, the set features a round table with a ceramic top and decorative chair backs echoing its pattern. Sturdiness and bright colors is what makes metal furniture so popular. 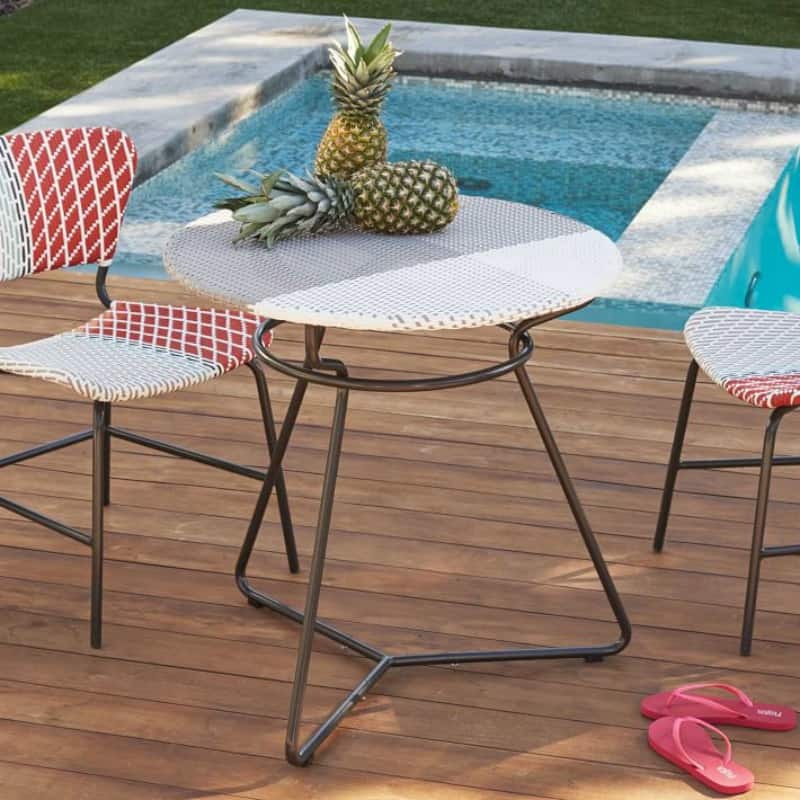 This sunny set from Walmart is one of the brightest balcony chair and table design ideas we’ve seen. 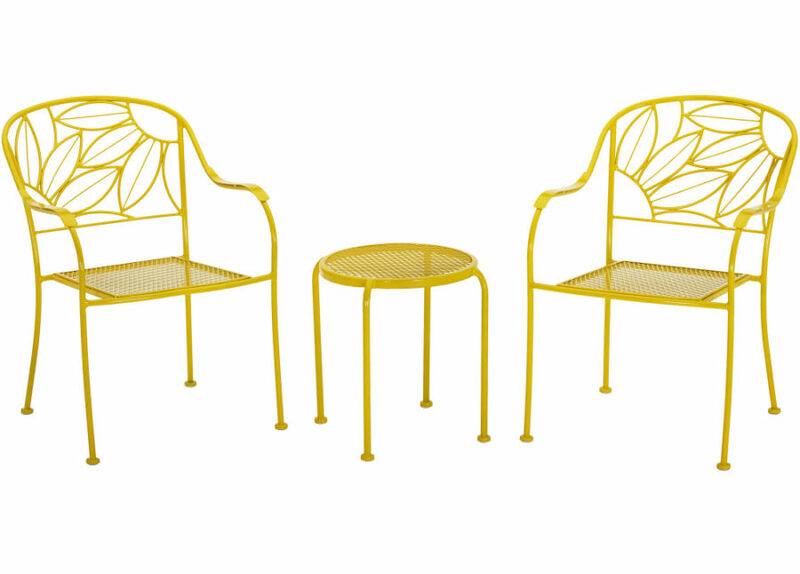 It’s a perfect example of how fun a heavy-duty steel frame can look powder-coated with sunrays and sunflower petals. A smaller table allows for bigger seats without taking up too much space. And the sunny design is meant for keeping summer close all year round. 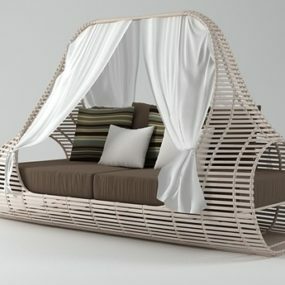 Another popular material for outdoor furniture is rattan. Besides looking pretty, it brings a different look to the outdoors regardless of whether it’s a spacious patio or a small balcony. 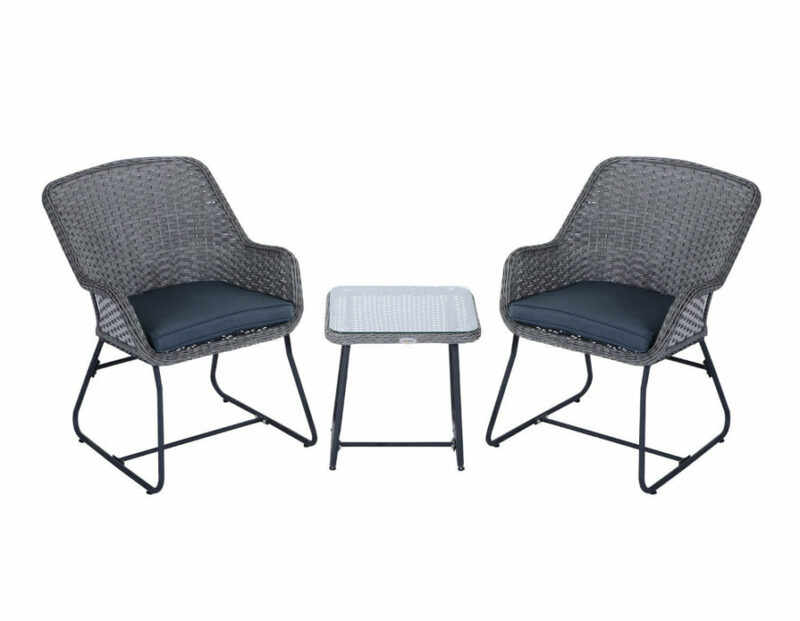 Rattan may feel a bit traditional, so be sure to choose modern designs with clean lines and minimal frames like this bistro set made in resin rattan. Perched on sleek metallic bases, these three pieces work in concert to provide you with the comfiest, cosiest place to enjoy a cup of coffee in the fresh morning air. Rust-resistance allows to keep them out all year round. But with any outdoor furniture it’s still best to protect it with slipcovers when it’s not being used. One of the metal furniture’s downsides could be its weight. All that metal makes for heavy furniture that isn’t easy to move. So if you plan to interchange your set location between indoors and a balcony, it’s best to opt for an aluminum set. 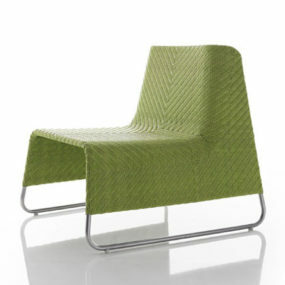 This one has a very contemporary look softened with rattan chair seats that add warmth to the sterile aluminum shine. 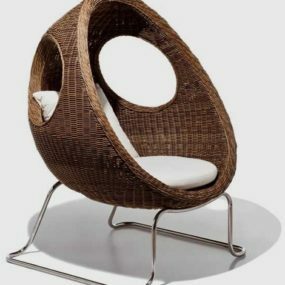 There is nothing light brown rattan that can give as much warmth to any design. Wooden balcony furniture is more practical than you may think. Sure wood weathers a lot from the elements, but that could be a good thing or a purposeful stylistic choice. 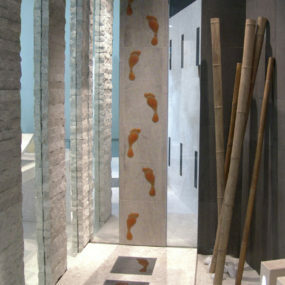 Wood also goes well with virtually any other material, even concrete. And this mosaic tiled table is proof. 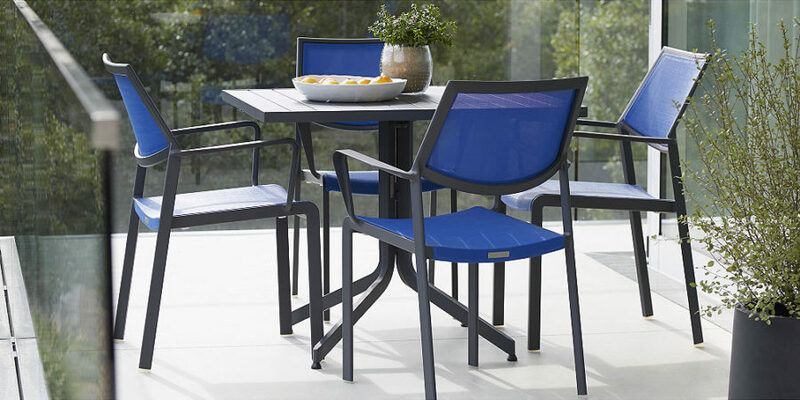 Wooden outdoor furniture never looked as stylish. 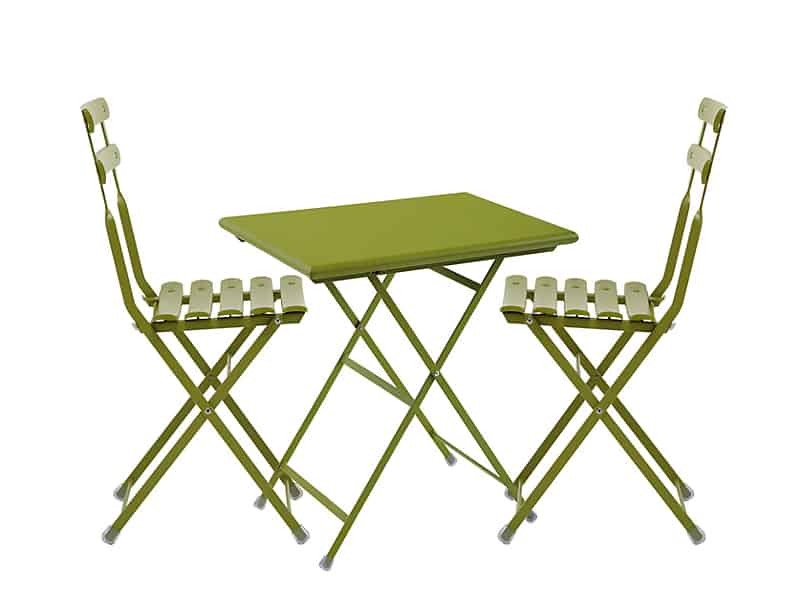 This John Lewis bistro set will bring so much style to the balcony. Worn nautical wood reminds us of seafront cafes, and the classical shape makes it a good fit for almost any modern home. Foldable design allows not only for easy storage but also portability in case you decide to get your morning coffee on a real beach. IKEA are masters of affordability and modern design and their ÄPPLARÖ set is a testimony to that. Comprising a wall panel, a gateleg table and two chairs, it makes for an ideal choice for an ultra small or narrow balcony. 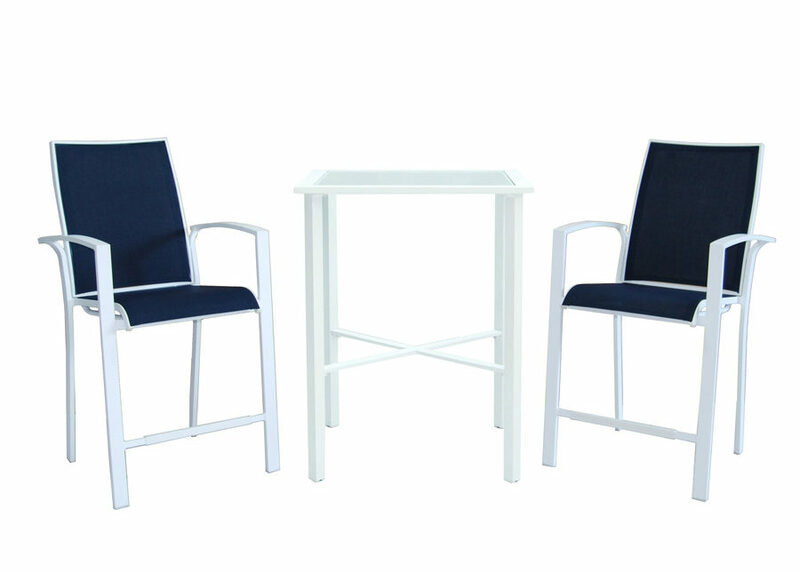 Both table and chairs are foldable, and the wall panel is storage-friendly. Complement the seats with HÅLLÖ chair cushions and dress your balcony floor with a bright patterned rug to complete the look. 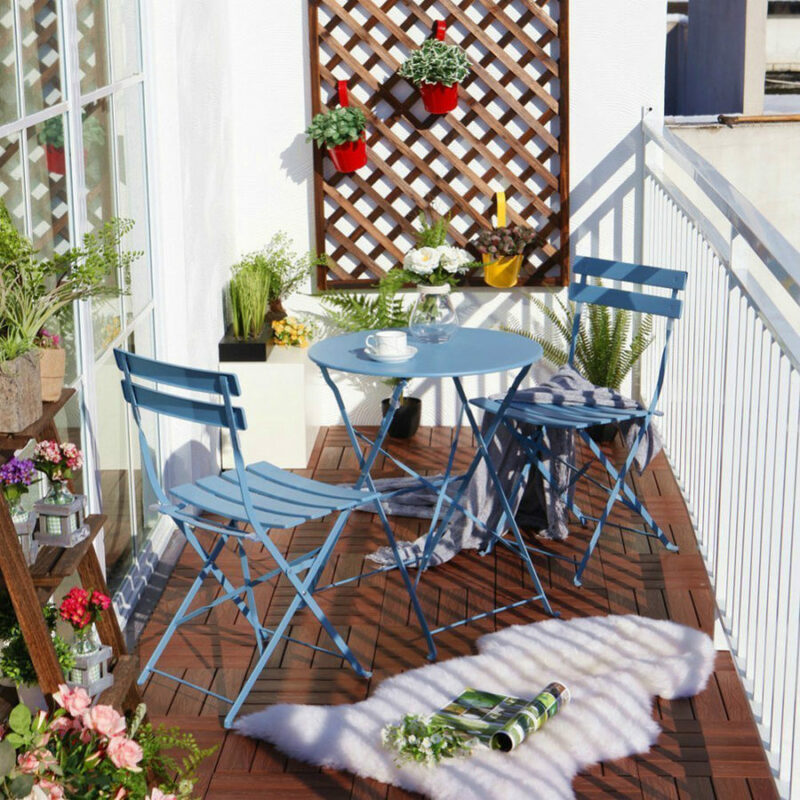 Classic bistro designs are simply made for balconies. They are small, eye-catchy, and often foldable, which makes them small space staples. 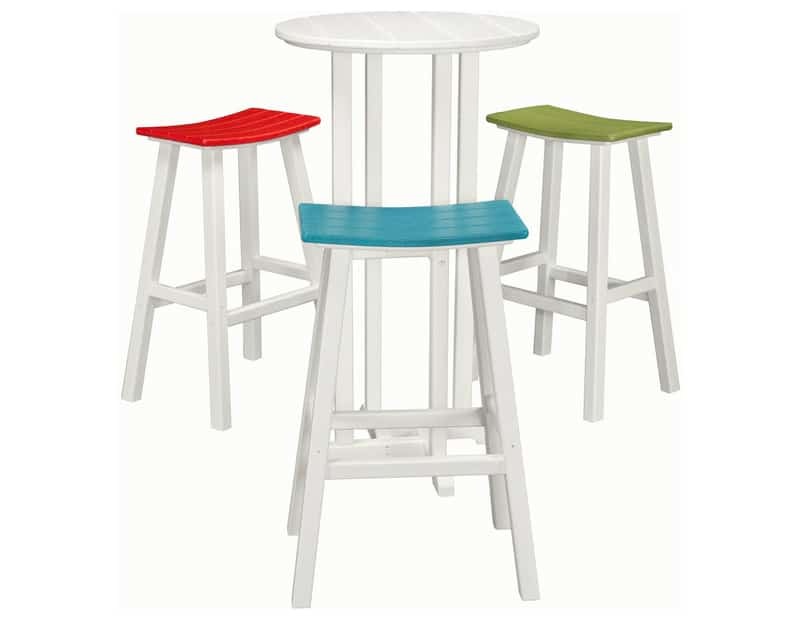 Another set from John Lewis comes in three bright hues, including this popping green and neutral white. Though simple in design, the contrasting colors help it stand out even in lush outdoors. A bistro 3-piece set comes at an average price of $150, so it’s a sound investment for which you get versatile pieces you can reuse even if you move into a house with a patio. Don’t let simplicity of design deter you, as their color range is truly great. And if you still yearn for some interesting shapes, World Market’s set can offer you a set that has quite a different look. 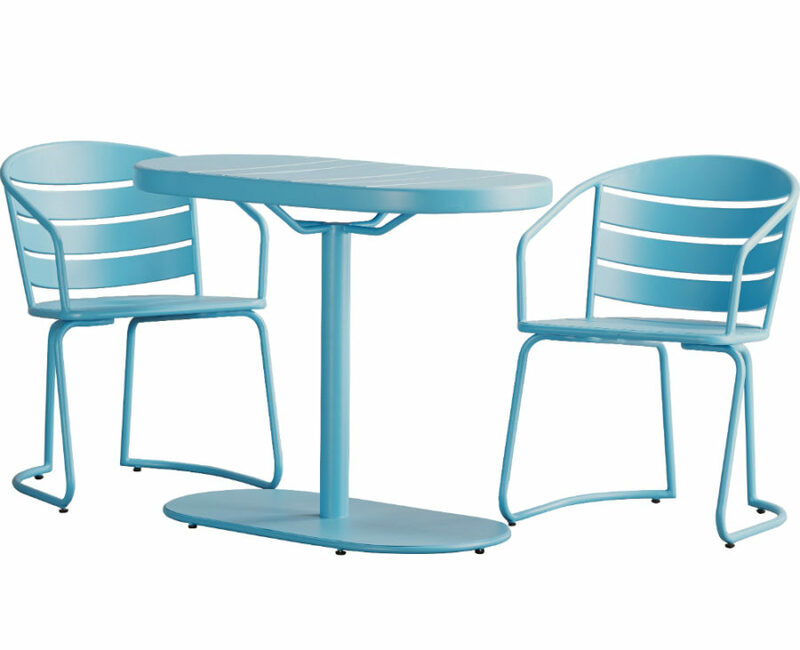 Harlan sky blue bistro set may look space-consuming but it has a nesting design that allows tucking those comfortable armchairs under the elongated table. Modern and bright design only looks plastic. It is, in fact, made of durable steel coated in sky and navy blue. Ethimo’s Flower collection is full of sleek modern and bright designs that will turn your balcony into an Italian cafe. 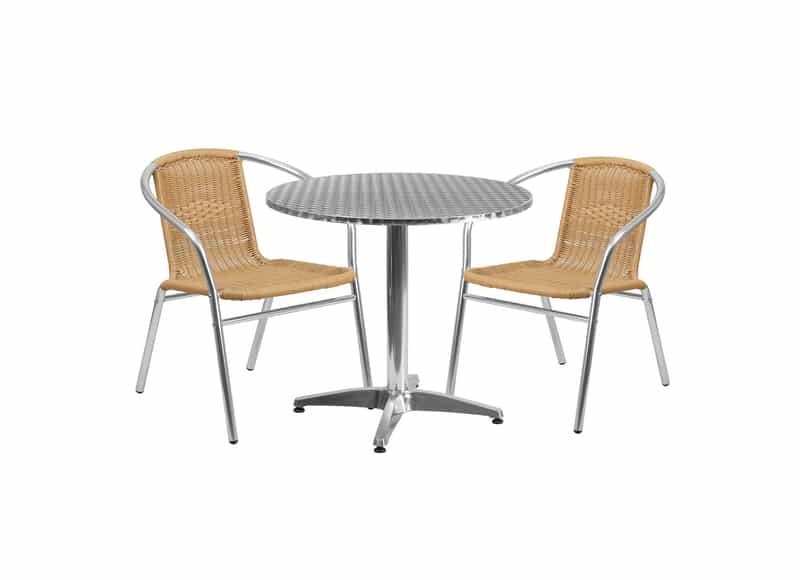 There are stackable and folding chairs, rectangular, round, and square tables, which can all form attractive balcony sets. 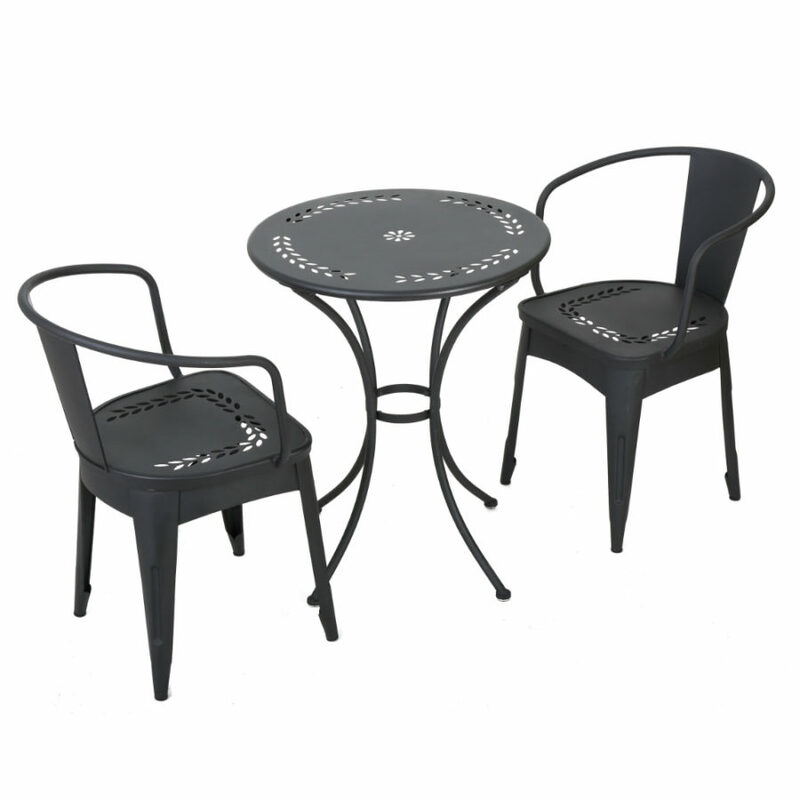 A round table with a 60 cm (23.6 in) tabletop is a perfect choice for a small balcony, which you can furnish further with matching or contrasting foldable chairs or armchairs. If you don’t plan to eat on a balcony, a low table may be a better choice, as it frees up space for more generous and comfy seats like these beauties from Ethimo. Lounge in the Knit Lounge Armchair, and enjoy a drink from a sleek wooden coffee table matching perfectly to the flat rope seats framed in teak. It doesn’t have to be a coffee table set, though. 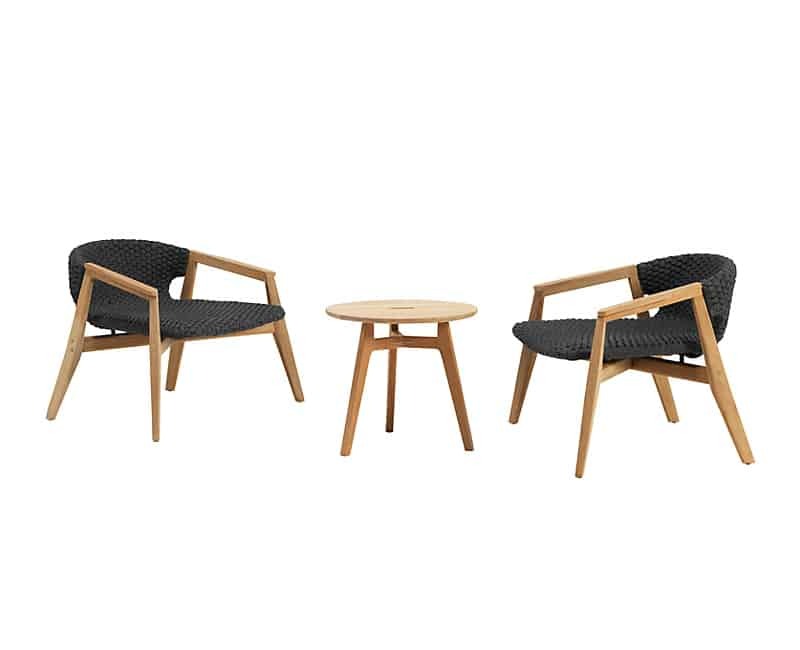 You can pair any side table with a couple of outdoor chairs that you like, and get a particularly unique combination like CB2’s Ixtapa lounge chair and Bongo side tables. 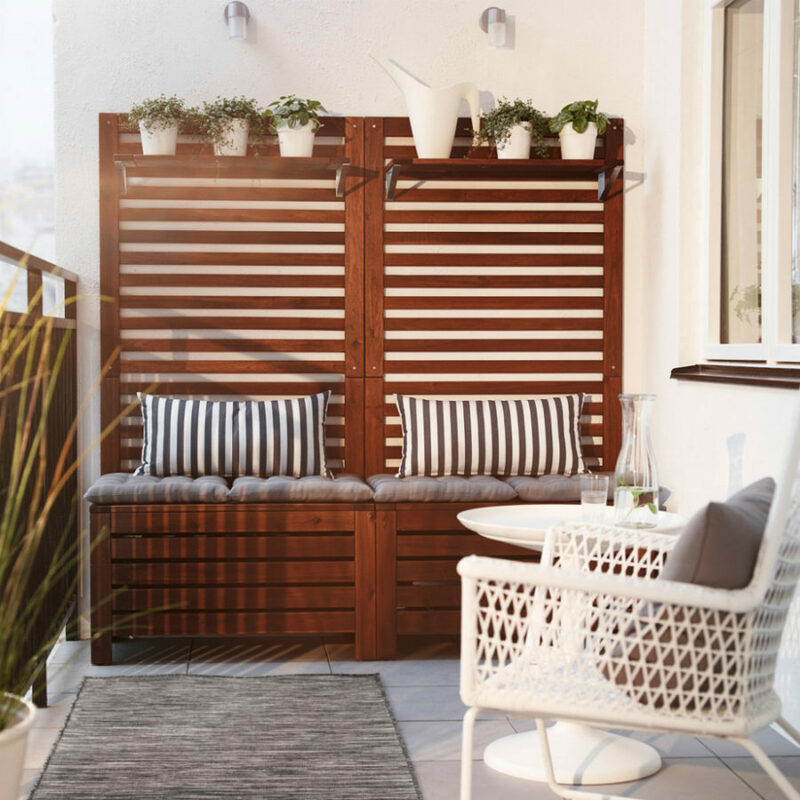 Although sets can give you a uniform look, these types of combinations will definitely bring more character to your balcony or any other outdoor area. 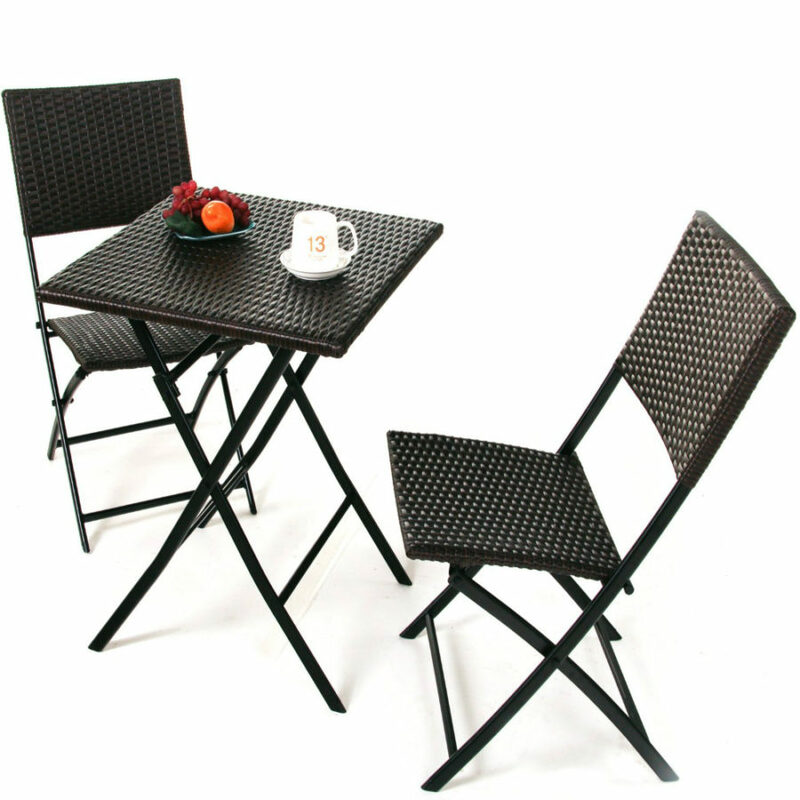 Since balcony chair and table design ideas are so numerous, you’ll have a hard time choosing just one combination. 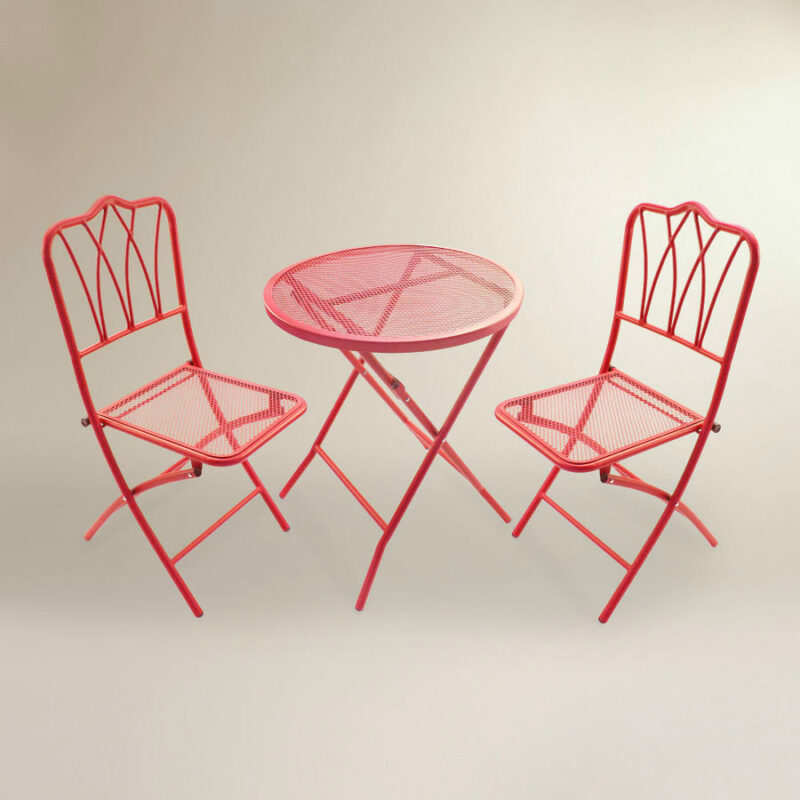 Reminding of modernist classics, Mainstays Mckenna Meadows bistro set looks more outdoorsy and relaxed. The seats made of polyethylene wicker are echoed by the table’s woven shelf, and a slatted faux wood tabletop (along with every other element) is made to withstand all weathers. 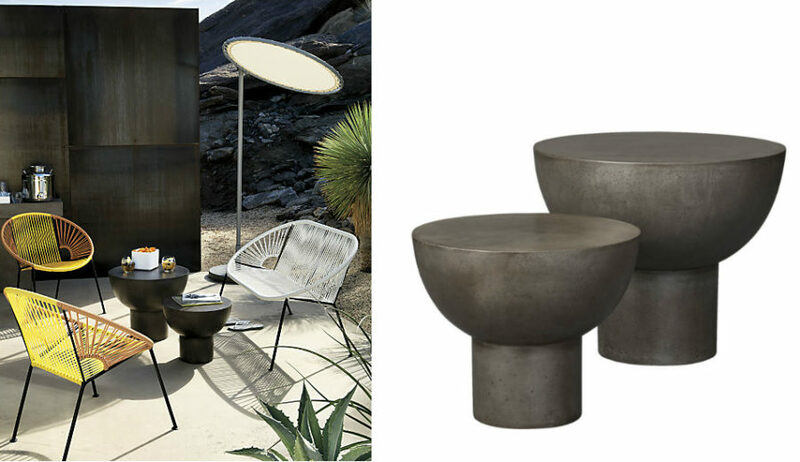 CB2 continues pairing items in different styles into designing outdoor sets. For instance, they married this polished stainless steel bistro table by Mark Daniel of Slate Design with Lucinda stacking chairs in mint and black. 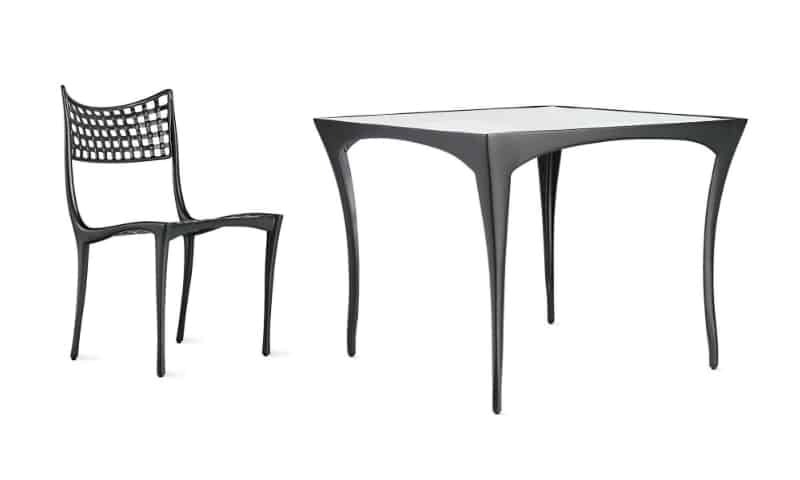 Both items are sleek and share the aesthetic of a modern bistro. You could get the chairs in one color, but the contrast makes things a bit more interesting. 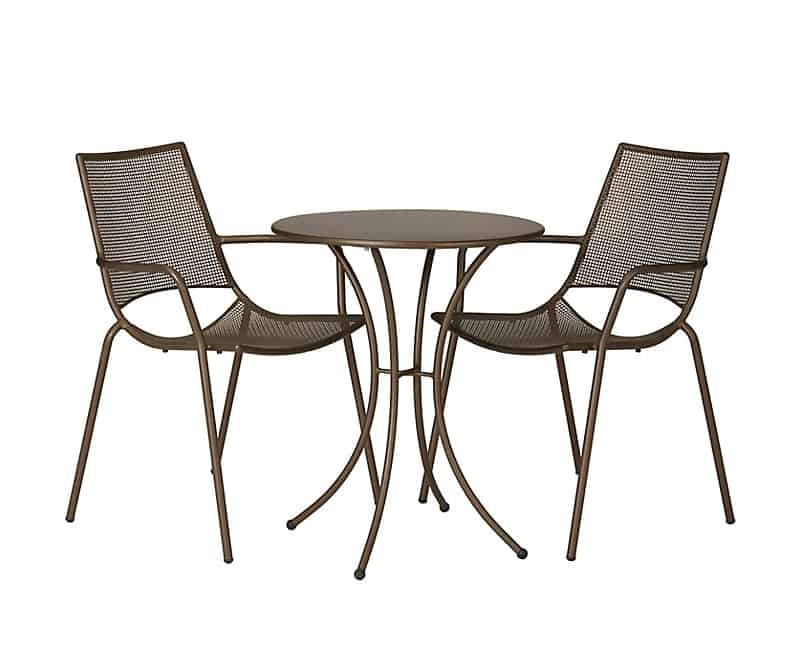 Bistro and patio dining sets often feature round tables that look less interesting and eye-catchy than the seats. It’s time to turn this around, and go for statement tables like this one from Tropitone’s Veer Sling collection. 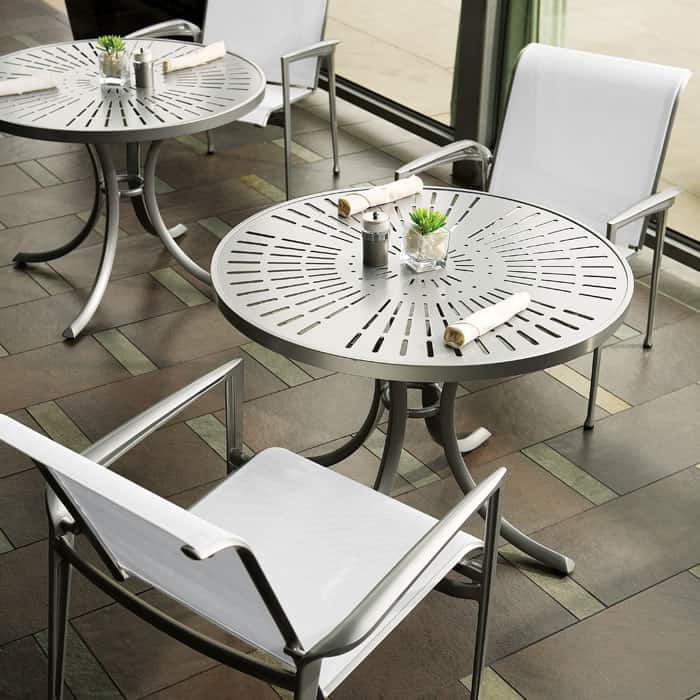 Stylish and contemporary, tabletop instantly attracts attention, and the sleek aluminum seats look airy but also sophisticated thanks to their elegant frames. 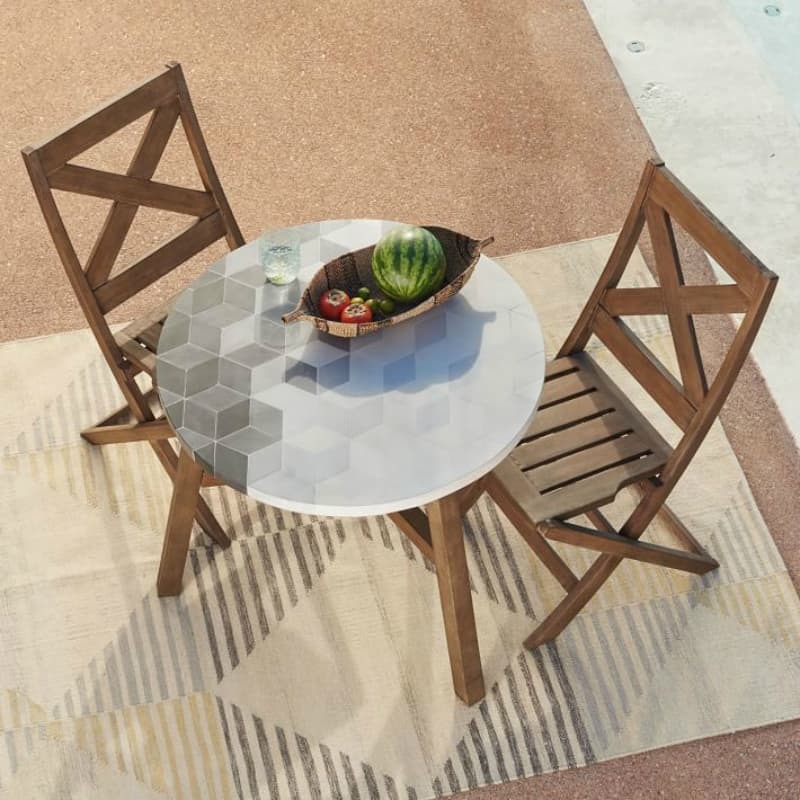 Another West Elm outdoor table has an aluminum frame paired with all-weather wicker. It is definitely for bigger balconies or decks, and it’s for those who believes in summer style for every month of the year. Matching chairs would give it a total bistro look, but you can experiment with different seats, if you would like to mix things up. 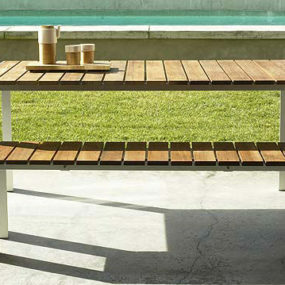 Square outdoor dining tables can too be quite designing. Dan Johnson conceived one inspired by a gazelle’s curved legs. From the looks of it, the table belongs indoors, but it’s perfectly suitable for outdoors, if you are willing to splurge. 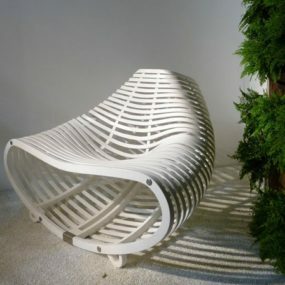 Pair it with a chair from the same collection and it will turn your outdoors into a decor enthusiast’s dream. Walter Lamb’s experiments with bronze and copper tubing from salvaged sunken ships of Pearl Harbor became instrumental in creating his iconic outdoor collection. 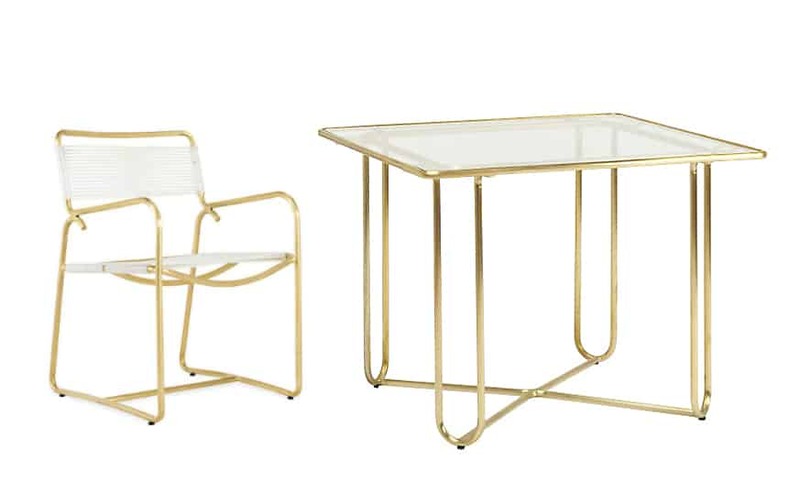 Straight from the 40’s, these glamorous pieces will turn any balcony into a modern palace. This is probably the most luxe-looking of all balcony chair and table design ideas we’ve ever seen. Of course, since a balcony table may not be the most used piece in the house, it calls for less pricey options like IKEA’s VÄDDÖ table that comes at a fraction of the price. VÄSTERÖN stool here punctuates the bright orange tablecloth, and can double as a side table for snacks and drinks. Statement chairs are needed when you spend more time lounging than eating on your balcony and the table is pretty much optional. 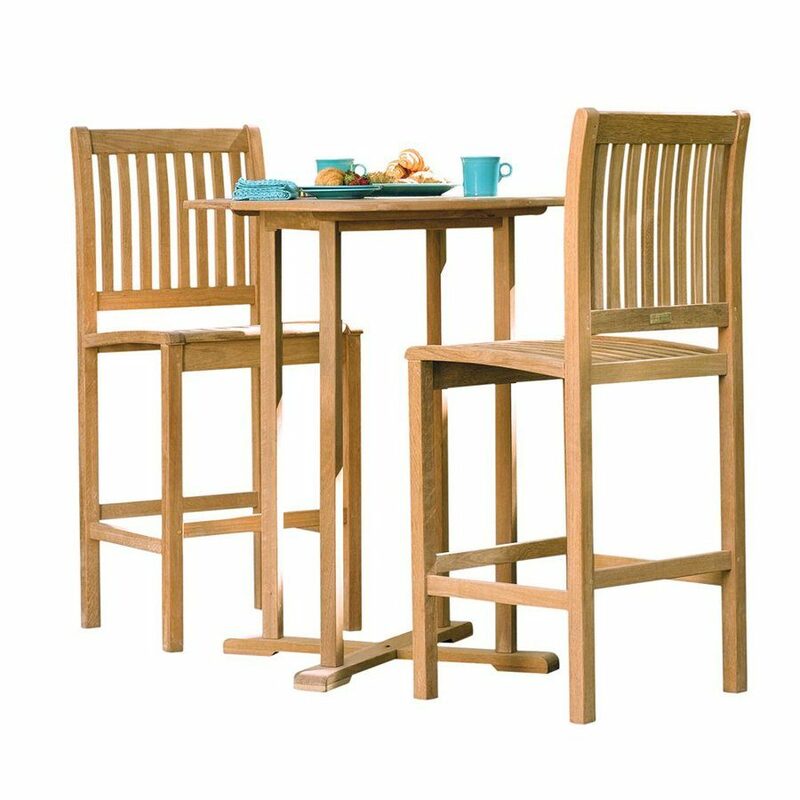 Largo Collection from Crate & Barrel includes bright blue chairs that give their ultra contemporary set a more eye-catchy look. You can always count on retro chairs to stand out from the crowd as they say. 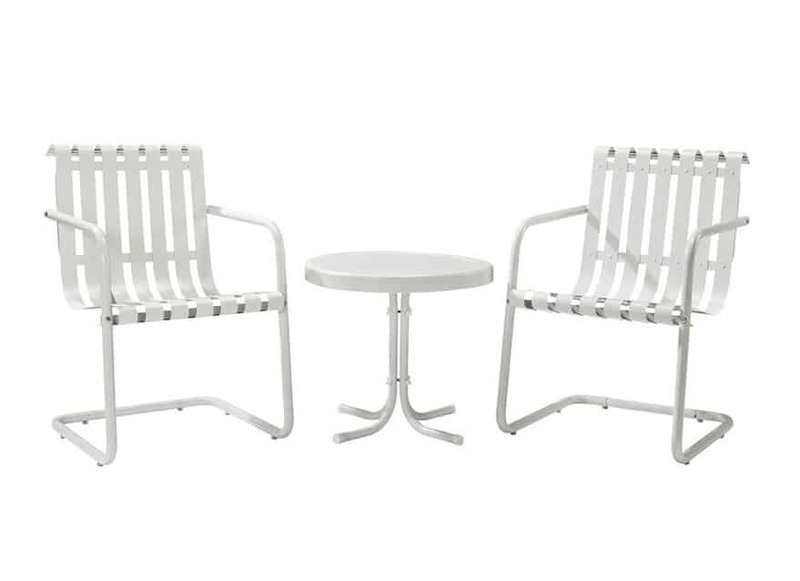 This patio conversation set is all about the seats paired with a simple, sleek table. Finished in non-toxic powder coating, the UV-resistant set is a perfect balcony addition that will give you the illusion of sitting on the beach. With this set you can imagine yourself in some tropical resort drinking margaritas regardless of the season in a closed balcony. 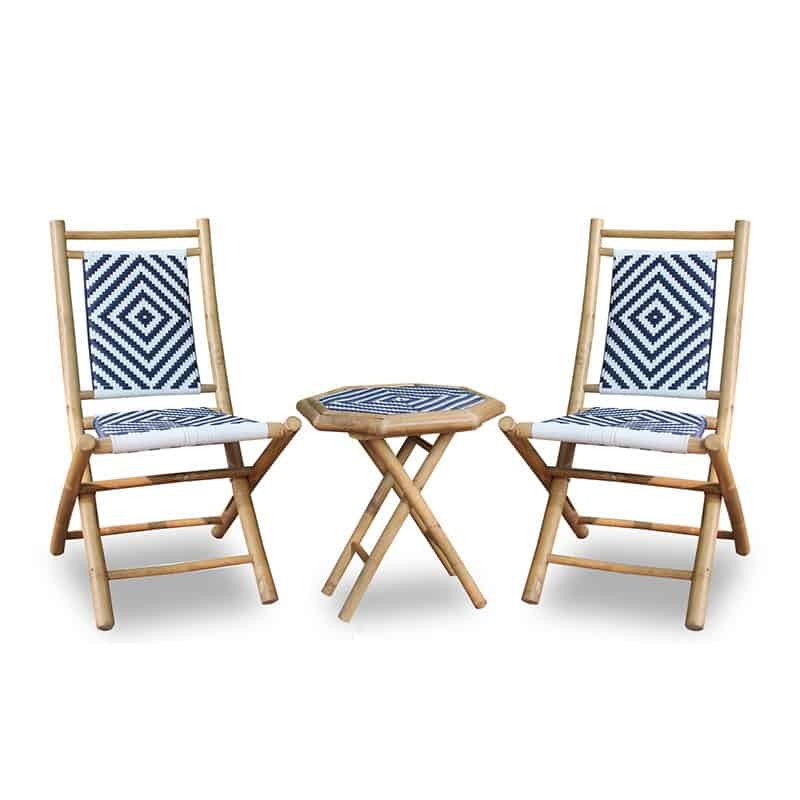 It’s hard to miss these chairs from Heather Ann’s bistro set made of stripped bamboo. Their attractive backs woven out of resin wicker are repeated in an octagonal tabletop. 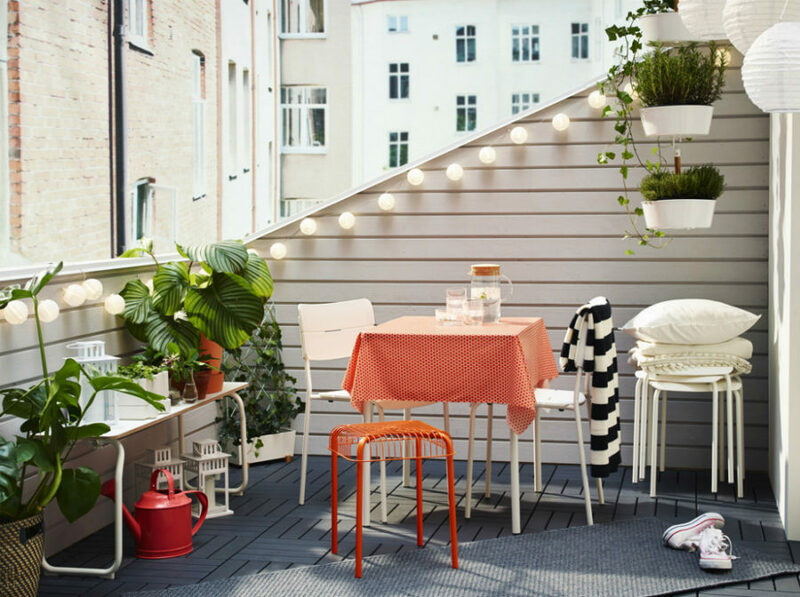 An ÄPPLARÖ wall panel bench with storage space may be the star of this balcony, but HÖGSTEN armchair and IKEA PS SANDSKÄR tray table definitely bring more charm to it. 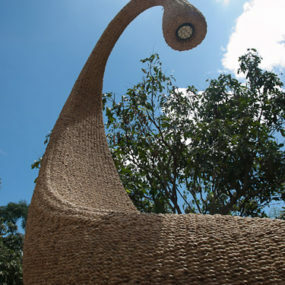 Hand-woven plastic rattan of the seat looks real enough, its high back allowing you to sit back and relax. It may not seem like it, but a balcony is a great place to set up a bar. You don’t need a lot of space or some special equipment to create a small dry bar, where you can enjoy a drink with a friend in the evening overlooking the city views. There are quite a few balcony chair and table design ideas that will make for a space-conscious and at the same time storage-friendly bar. Here, it’s a bar counter with a foot rest and a couple of barstools. It doesn’t have to be a bar counter though. A bar height table might also work. 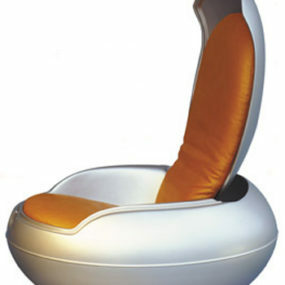 Its main advantage is that it’s very space-conscious. 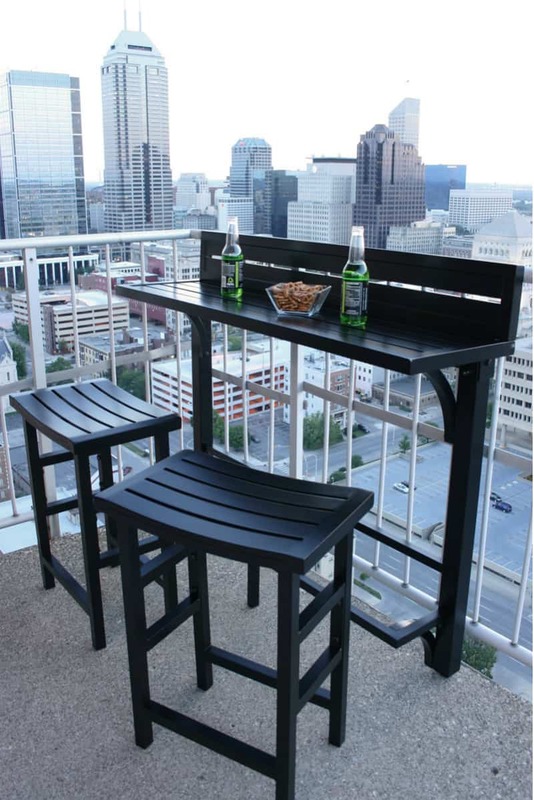 Take advantage of a bar height set to elevate yourself safely above the railing and take in all the surrounding views. 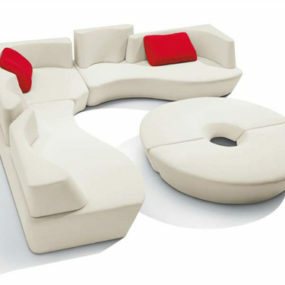 Functional but tasteful is a fitting description for Matthew Hilton’s Eos Collection of contemporary sleek furnishings. 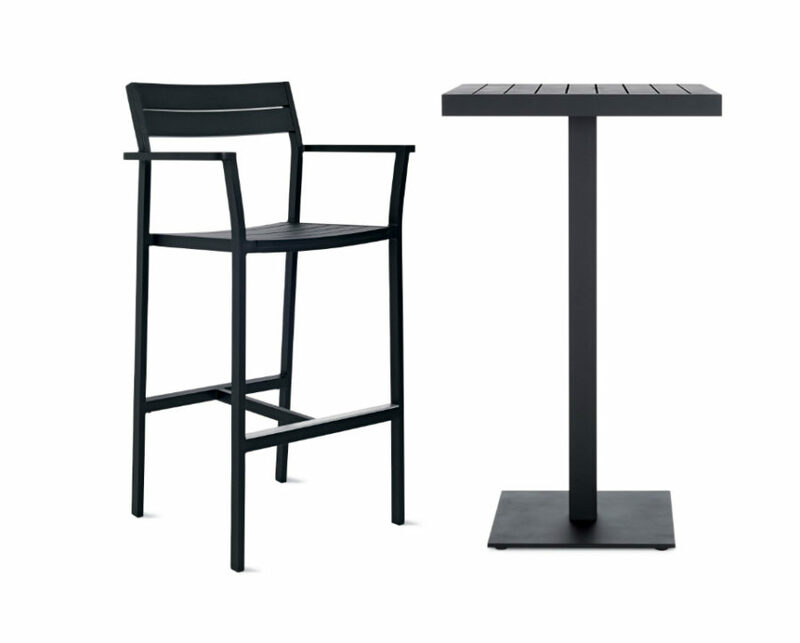 Lightweight and stackable, these pieces will give your balcony a smart look of a modern coffee shop, cafe, or a hip new restaurant. 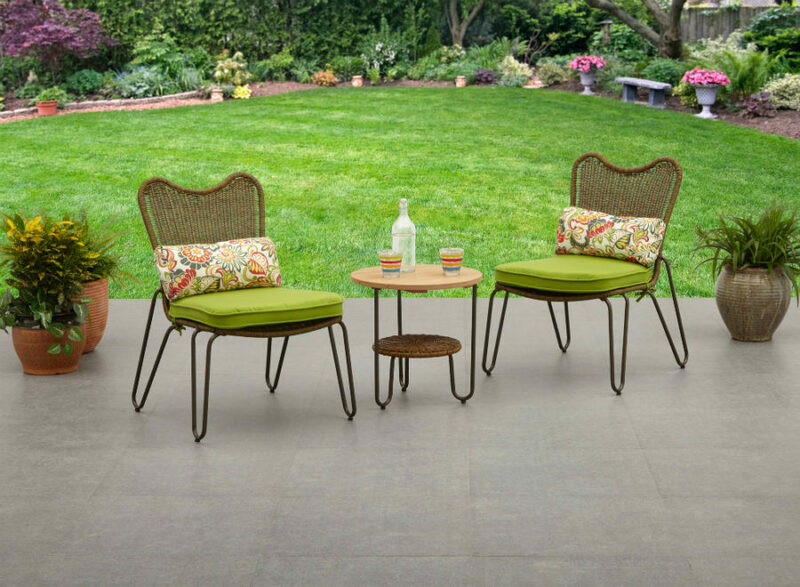 An all-weather bar set from Hanover will not only seat four people instead of two but will also bring a color dynamic to the balcony decor. Made of wood the design is eco-friendly and ultra modern. 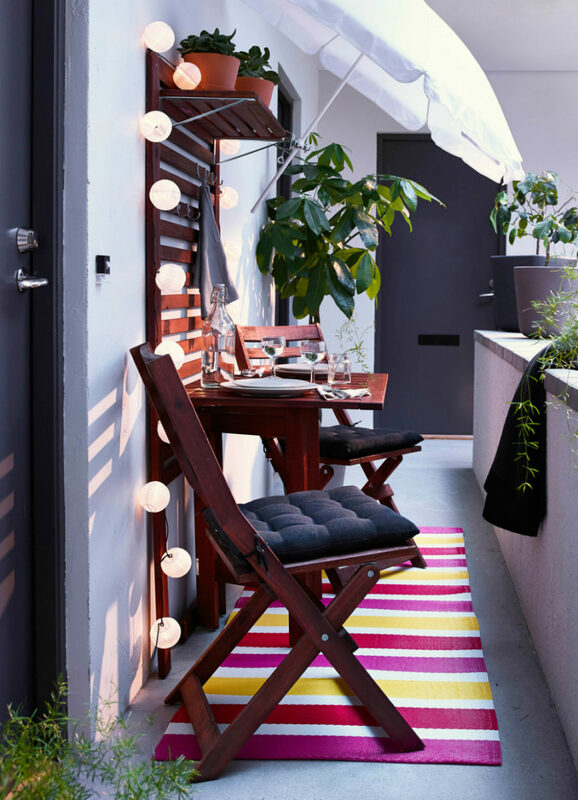 Stylish balcony decor is really easy with these balcony chair and table design ideas. All you may require is a bright rug, a few planter pots, and some lighting to complete the picture.